ProsMedia Temple offers premium hosting with stable servers with an established name. Bottom LineWe thought such a popular name in the web hosting market our site would perform great. After tests, we found it to be slower than shared servers plans we have used at half the cost. We had been wanting to try Media Temple for a long time because we have heard good things. After visiting the well-designed website, we talked to a representative to go through the set up process. It was pretty quick and painless. 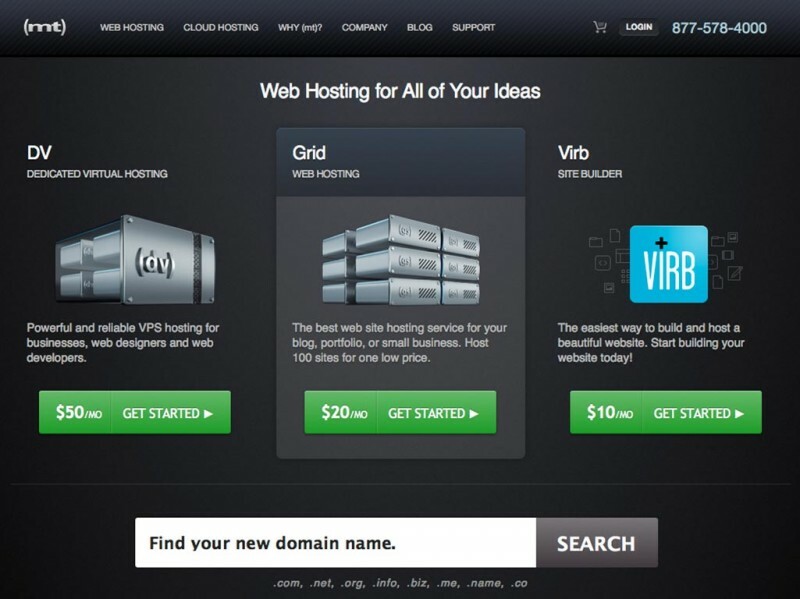 We bought the (gs) Grid Server plan and started moving our domains over. After we signed up the login information was created and Emailed to us. Once logged into their custom control panel we were able to easily edit the DNS (Domain Name System) and get our domain up and going. Like the rest of the Media Temple website, the control panel is simple and clean. If you’re used to working in cPanel you will enjoy the nice pretty graphics. Some important facts to note about the Media Temple’s control panel are that you will have access to important areas like File Manager, Database Management, Domain Tools, Cron Jobs and more. Media Temple comes with some additional features that those of us who have used cPanel for a long time really enjoy having. The GPU Usage Reports show a graph of usage and overusage. If there is a performance tip for a page it will be displayed next to the page that is taking a lot of the GPU. It will suggest making changes to that page to help it perform better. We thought it was great to see a section for PHP Settings. This section allows you to select which version of PHP should go with each domain. If your website, CMS, or whatever platform you use needs an older version of PHP, this will save you significant time. We think the control panel is well designed and implemented. Speed has been relatively fast using Media Temple. We are using a Media Temple as a place for one of our development sites at this time and we have noticed some unusual spikes in slowness from time to time. Besides those times, we have little interruption. Reliability of Media Temple has been good since we started using them. We are in the middle of researching to see how much the server environment may play a role in our speed issues. We are on a shared server and, according to our Pingdom results, we have had fast response times at other hosts. Any inconsistencies we can report on more fully, we will. At this stage there is no reason blame Media Temple for slow responses. After a few more weeks using Media Temple, we have come to the conclusion that their Grid Servers (gs) are not as fast as we need them to be. If your site relies on speed we do not recommend Media Temple's Grid Servers. Reasons are as follows. After doing several tests using Pingdom.com speed test tools and WebPageTest.org we noticed that the main reason our site was having a slow response time was because of the Media Temple servers. What we measured is how long it took from initial connection with the server until we downloaded the first byte of information. On Pingdom tools, this is called the "wait" period and on WebPageTest.org it is called, time to first byte. At Media Temple -- Time to first byte is 1.729s and our entire load time was 3.656s. This shows that the slow server is half the reason for the slow page load times. At Site5 -- Time to first byte is .455s and the entire load time is 4.528s. A much faster connection to the server. Your overall speed can affect the ranking of your site a good bit. We will probably stop using Media Temple because of the slow speed. We would like to keep the server response under .7s. Using the support system with Media Temple is very easy. Their submit a ticket system is very clean and easy to use. While you are entering a title for the ticket, Knowledge base articles related to what you are typing are generated beneath the ticket. This is really slick and gives you an opportunity to see if there is any articles already covering that subject. We really like when any company has 24/7 phone support and Media Temple does. To us this says that they are not afraid to work through technical issues with their customers. We dealt with the tech support through the ticket system in our account about our speed issues and did not receive much helpful information. Our initial contact was polite and helpful, but he first asked us to test our site to see if we had things on our site slowing down the servers. We did the tests and found, once again, that the main reason for our speed problem was due to their server. After explaining this to him in detail, we were passed off to a new person who explained to us how our CDN was the culprit and, in no way were the Media Temple servers to blame. We were passed around a total of 3 different technicians who all pointed to new tests to try to avoid the real issues. They sent us a picture of a test that showed their server performing faster than we can get it to go in all our tests. We felt like they were shifting blame and implying we are not tech savvy enough to understand how the server works. Overall, the experience was unhelpful and did not solve any of the issues we were wanting to resolve. 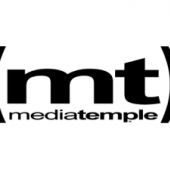 Media Temple is my web hosting provider. After trying two others, both of who were reluctant to help a novice user like myself, I have followed a technical friend’s suggestion to try MT. Unfamiliar with the nomenclature associated with hosting my web--“ftp” file transfer protocol, “cpanel” control panel, and the likes-- I have come upon Media Temple--a shining star when it come to service, support, and a willingness to help and to educate. Now, nearly two years with MT, my calls to support have been met with the same degree of helpfulness I have come to treasure. Often, the support person makes the disqualifying statement--”We cannot support third party software,” in response to one of my questions, but in the end the support person points me in the direction of a solution. Along with their invaluable assistance, available the tools, and straight forward explanations for each item in Control Panel, Media Temple gets top ratings with me, and thanks to their support I now have two web sites up and never have experienced downtown, or complaints from visitors to either of my sites. Media Temple provides excellent service and trust worthy product. Fast and dependable technical support and going beyond to help. It's the best hosting I've ever seen. Great service, great product. They have my two thumbs up. 1) price- $20/month? can't beat it. 3) scalability - traffic spikes aren't an issue. I'm happy with them. No cons yet. 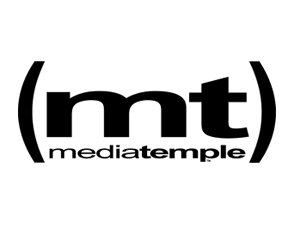 Media Temple was started in 1998 by Demian Sellfors. They are known for their high quality customizable plans. Each of their servers has the best quality in the industry with some of the fastest speeds. Media Temple is great for those who want a standard server as well as people who want to customize a server from scratch. Media Temple is a company that works with high quality services. They host all sizes of websites and create stable hosting environments. Started in 1998 in Los Angeles, California. Media Temple provides businesses and consumers with web hosting, applications and more. 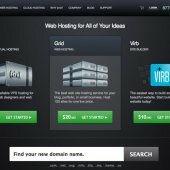 (gs) Grid-Service - $20/mo. 100GB storage, 1TB network transfer, 100 Domains and 1000 emails in a “Clustered” architecture. (dv) Dedicated-Virtual - $50/mo. $30GB storage, 1TB network transfer, scalable levels of operation, 64-bit operating system, virtual servers with RAID 10 configuration. (ve) Server - $30/mo. 20GB storage, 350GB network transfer, Choose different Linux install options, Premium hardware, Full Root Access, Server Status. (cx) Complex-Hosting - Custom projects that need special attention. ProCDN - $20/mo. 200GB transfers a month (Plus $.15/GB up to 10TB and $.10/GB over 10TB).